Geoffrey Myers is a sculptor and painter who has been located in the Vero Beach and Sebastian area since 1996. 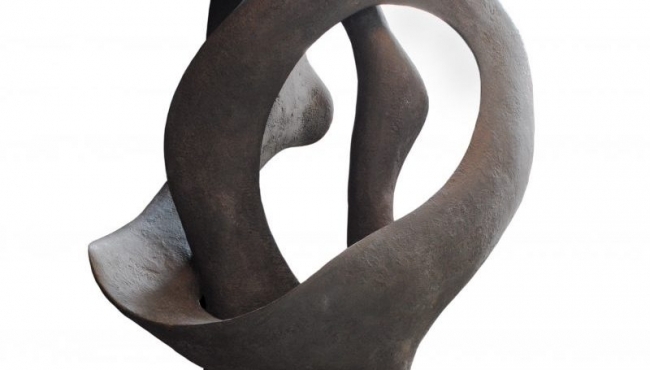 He has been working on sculptures in a new and exciting medium called Acrylstone. The process involves the use of a Portland, acrylic compound over a steel shell armature strengthened with glass fiber. The result is a hollow lightweight structure with phenomenal strength, but the real beauty is in the limitless forms made possible by this method. Acrylstone has the properties of marble and can be shaped, carved, feathered, and polished but it lacks the restrictions of a monolithic block of stone. It’s potential is limitless!